Dental Insurance is different from Medical Insurance. Many patients aren’t familiar with the specifics of their dental insurance benefits. Your dental benefits are based on the agreement your employer negotiated with your insurance carrier. Please review the insurance benefit booklet provided by your employer to better understand the benefits they make available as part of your insurance coverage. The patient payment portion covered for procedures varies depending on the coverage provided by your employer. An estimate of the amount covered by your insurance company will be provided at the time of your treatment, based on the information they provide to us. The estimate is never a guarantee of benefits or the amount that will be paid. We will file all insurance claims as a courtesy to our patients. This does not however, transfer the responsibility of your financial obligation to the insurance company. If the amount paid by the insurance company is less than or greater than the estimate, then you will be billed the difference or issued a credit on the account in the event of an overpayment. CareCredit® is available to help you pay for dental procedures your insurance doesn’t cover. CareCredit® offers both No Interest* financing or low minimum monthly payment options so you can take care of your dental health. With three simple steps, including an instant approval process, it’s easy to apply for CareCredit®. Click here for more information or to apply for financing. PLUS enjoy a 15% discount on most all other dental services for a full year!!!! Sign up anytime – membership is valid for on full year from the date of enrollment. *Discount will not apply with any other offers or discounts. This is a dental savings plan, not a dental insurance plan. All enrollment fees are due and payable in full at the time of registration and fees are non-refundable. This program cannot be shared or transferred between patients. Savings plan duration is for one full year starting on the registration date. Savings plan coverage expires at the end of the membership year, otherwise benefits are null and void. Benefits cannot be carried over to the next membership year. Savings plan enrollees cannot use any other dental coverage, discount, or offers with this plan. The savings plan will never any portion of a specialist referral, will not apply to costs of dental car for injuries covered under workman’s compensation, and will not apply to dental care for which in the sole opinion of the treating dentist lies outside the realm of their capability. The savings plan will not apply to hospitalization or hospital charges of any kind. Covered benefits of the plan are on covered at Family Dentistry of Yorktown (334 Underhill Ave, Yorktown Heights, NY 10598). Savings are not valid in conjunction with dental insurance or any other plans or offers. 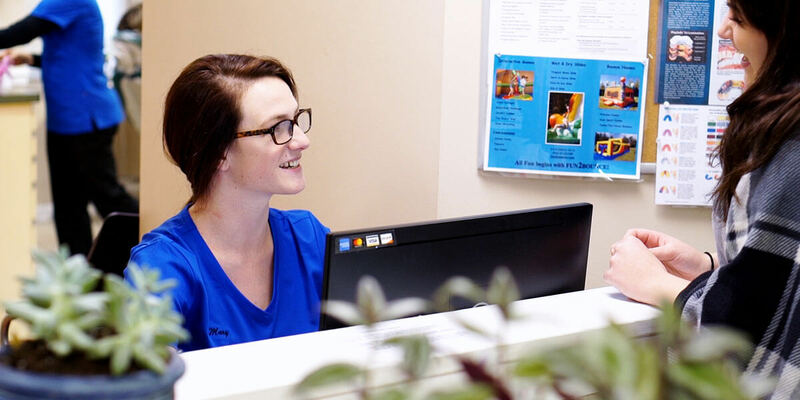 Family Dentistry of Yorktown reserves the right to modify, change, or discontinue the Savings Plan, fees, terms and services at the office’s discretion.